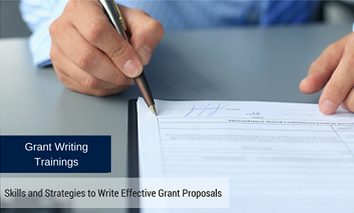 Designed for those with little or no grant writing experience, the Grant 101 workshop will cover the following topics: learning how to find grants; getting the inside edge; creating winning strategies; and the nuts and bolts of proposal writing. This program teaches the participant the basic techniques of researching private funding, as well as the proper way of contacting the given sources. Participants will learn to discern how funding opportunities match their organization's need and strategies, as they pursue granting opportunities with them. Who is eligible to receive grants? Who do we seek grants from? How are they the same and how are they different? Prerequisite: High School Diploma strongly recommended, but not required. At least one year of professional experience.